Soon to come: How did Michael “the grinder” Mizrachi become a poker pro? 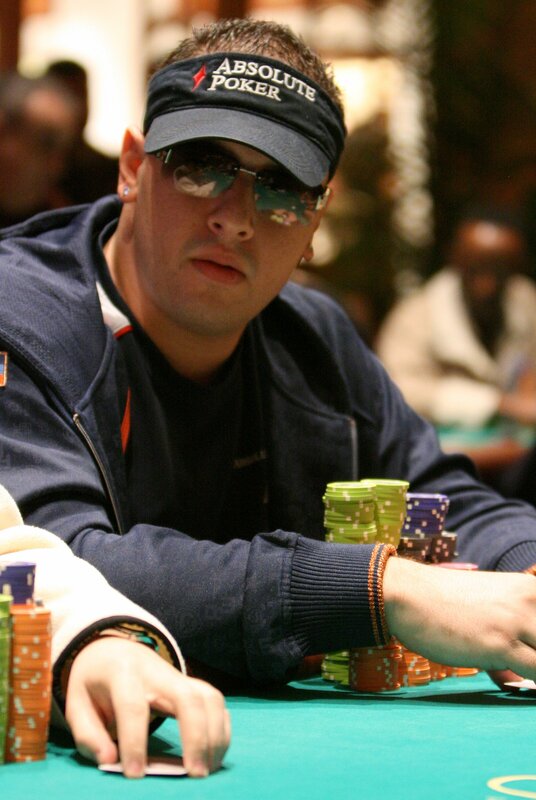 Michael Mizrachi is a 30-year old professional poker player who had one of the most turbulent years a poker players has ever had to endure. One minute there were rumours that he was completely flat-broke and then next he was making it to the final table of the World Series of Poker Main Event. In May 2010 he hit the headlines for all the wrong reasons when it was revealed that the Inland Revenue Services (IRS) in the United States of America had seized an sold a property of his in Florida as part payment for an underpaid tax bill of $339,711. Mizrachi’s lawyer tried to negotiate on behalf of his client stating that he had lost over $600,000 in property investments and that during the period of underpaid taxes, 2004 to 2007, where Mizrachi won around $6,100,000 from live tournaments more than $3,700,000 of it went back to people who had financially backed his client. Rumors of Mizrachi being broke soon circulated around the poker community but at the end of May 2010 he took part in the inaugural $50,000 The Players’ Championship at the World Series of Poker, a tournament that will return for WSOP 2011, and in almost fairytale like circumstances he won the entire tournament for a cool $1,559,046. But Mizrachi, who is known as “The Grinder” for his consistent playing style and results, was not finished there and he cashed four more times at the 2010 WSOP, making three final tables including a fifth place finish at in the $10,000 Main Event that saw him walk away with $2,332,992. This took his lifetime tournament winnings past the $11,200,000 mark and confirmed his place amongst tournament poker’s elite and dispelled rumours that “The Grinder” was broke and out of luck. It is not just the WSOP events that Michael “The Grinder” Mizrachi excels at as he is also a double World Poker Tour winner, a tour that really put him on the map. In February of 2005 Mizrachi entered the 2005 LA Poker Classic and took it down for $1,859,909 and he followed that up the following year with an outright win in the 2006 Borgata Winter Open, a result that added $1,173,373 to his winnings. Anyone who wins a seat through the 2011 WSOP qualifiers will not only have the chance to play with Michael Mizrachi but also some of his family because he has an older brother, Robert, and a twin brother, Eric, who are both accomplished poker players. I guess you could say poker is in the Mizrachi’s blood!